Share I've been looking for a hair product that is light and will not dry up my scalp. After having a haircut today, I checked the products on display at Piandre, Greenbelt 1. 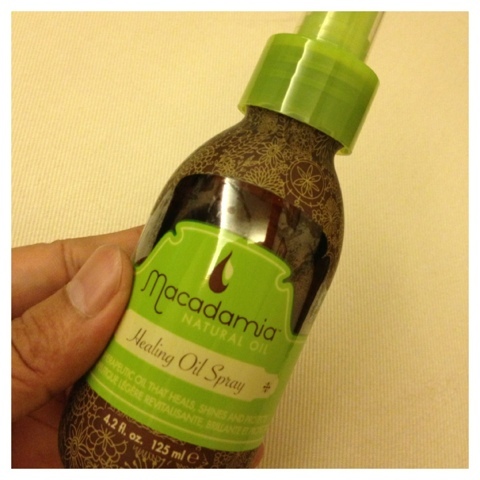 Then I stumbled upon the Healing Oil Spray of Macadamia Natural Oil. The product is a leave-on agent and is supposed to be absorbed by the hair quickly. I'll start using it tomorrow and let's see if the product is wonderful. Great Saturday night to all!